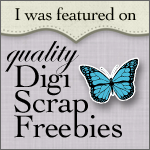 I have an new digital craft kit in my Digichick store – Owl Wear Woolies. This kit uses the same color palette as the Owl Fall for You kit, so the papers and elements can be shared and swapped between the two. Owl Wear Woolies is on sale through Friday! Both kits coordinate with popular die cutting dies to make crafting quick and easy. To make this card, I simply decided on my card layout and then printed my card pieces all on one sheet of brochure paper. When I make these, I just build my card in photoshop with each part on a different layer. I like to use clipping masks to create my base “card parts” because I can easily switch out papers to see what different ones look like. (there is a tiny clipping mask tutorial here). In the computer, its so easy to move things around and change their size. Don’t forget that you can use edit – transform- flip (horizontal or vertical) like I did here with the little owl. I just keep playing around with layers and different elements till I’m happy. I also add text at this point – its so great to be able to try different fonts and sizes. Once I have the card looking the way I want with everything sized properly – I just pull the layers that I want printed separately and move them to a blank part of the paper. In this case – I knew I wanted a ribbon on my patterned paper layer so I separated the base and patterned paper layers. I created a 5.5″ by 4.25″ background and clipped the blue wood grain paper in. Then I created a smaller layer and clipped in the brown wood grain. I added a rectangle of argyle on top of that and left those two layers grouped together for printing. I cut out the owl and the base card layers. I used Spellbinders Label 10 to cut out the oval element. Then I just layered everything, including a piece of ribbon. Last I mounted my finished card front onto a sturdy card stock card base. This entry was posted in Digital Stamps and tagged DigiChick, Digital Stamps, spellbinder dies on November 10, 2011 by Cathy. Traditional red and green… what can I say…. I really love holly and have several bushes in my yard that are now getting big enough to “harvest”. Although I learned the importance of wearing gloves when arranging it last year (ouch!). The Rejoice image is included in the new Christmas Foliage digital stamp set. I used a Spellbinders oval die cut to cut out the image with a craft knife, cutting around the holly leaves. Then I used the same die to cut a red mat. I mounted the images on top of a labels 10 die. I cut and embossed the green cardstock with the Labels 10, then stamped it with the Vines background stamp with the die still in place (to mask the edges). Then I assembled the card, cutting the Labels 10 die so it was off the edge of the paper. The paper is from the Making Memories Noel paper pack. I used this week’s sketch on Paper Craft Planet (but turned it sideways). Hope everyone is having a fantastic week. The school starts half days from now through Thanksgiving so I’m trying to come up with “fun stuff” the the girls to do. Tomorrow we are going rollerskating with the girl scouts – so that should be fun! This entry was posted in Digital Stamps and tagged Copic Markers, Digital Stamps, spellbinder dies on November 17, 2010 by Cathy. Hope Everything is Just Ducky…. Oh my goodness – for the first time I used the Mega Mount block for my background stamp. I love it! It stamps beautifully. The background I used here is called Cover-a-card Circle Swirl. Its huge (6″x6″) but the Mega Mount made it very easy to handle. I’m so stamping more backgrounds!! I also used my trust Labels 3 Spellbinders die – its starting to become one of my favorites (and when I first got it I was not sure I would like it – silly me!). I also used the Ribbon Slide Tag Trio 2 Die set. By the way, all the tools are on sale in the store – so you can snag a deal on a Mega Mount or some Spellbinders dies if you need them. Its also time to announce the winner of the OA Buddies stamp set from the Friendly Blog Hop. Using Random.org on all the entries, the winner is Chris D. Chris – I sent you an e-mail…. Have a great day everyone! I need to prep to lead a Brownie meeting (we’re making sock puppets – fun huh?) and then hopefully some time in the garden! This entry was posted in Rubber Stamp Projects and tagged Copic Markers, Impression Obsession, Penny Black, spellbinder dies on April 28, 2010 by Cathy.